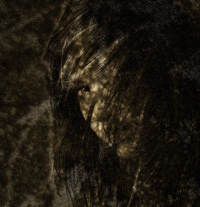 The Child of the Erinyes is an eight-book journey spanning 4000 years: beginning in the Bronze Age, it follows the lives of two men and a woman as they are reborn seven times through history. I fell in love with the myths of the ancient Greeks and wrote my first story at a very early age, due in part to the children’s book, D’Aulaires’ Book of Greek Myths. I’ve continued to hone the craft, alongside education, work, marriage, and child rearing. I’ve owned and operated a successful writing/editing company, and have earned a living in various occupations. As a freelance writer, I provided articles on demand for marketing use and teaching seminars, and, for ten years, worked as a bookseller. 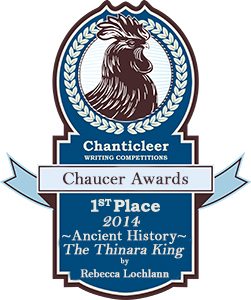 Now I’ve joined with Erinyes Press to publish and distribute The Child of the Erinyes series, mythic fantasy fiction beginning in the Bronze Age and winding up in the near future. The seeds of this series were planted in the seventies, after reading Moon, Moon, by Anne Kent Rush, and Dawn of the Gods, by Jacquetta Hawkes. Two months in Scotland provided invaluable material and insight for what would become the stories that are set there. About fifteen years altogether were spent researching the Bronze Age segments of the series, and encompassed rare historical documents, mythology, archaeology, ancient writing, ancient religions, and volcanology. The research never really ends, I’ve found, even for the part of the series that is set in the future. 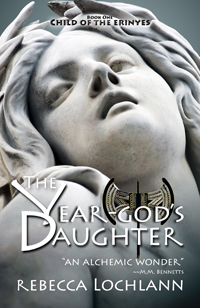 The Year-god’s Daughter, Book One of The Child of the Erinyes Series, made its worldwide debut in November, 2011, and was followed by The Thinara King in May, 2012. 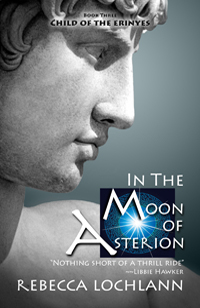 In the Moon of Asterion, Book Three, arrived on digital bookshelves in April, 2013: all three have paperback versions as well, available at Amazon, Barnes & Noble, and The Book Depository. The series continues to burgeon as I split these hefty books into manageable installments. In the Moon of Asterion wraps up the Bronze Age segment. 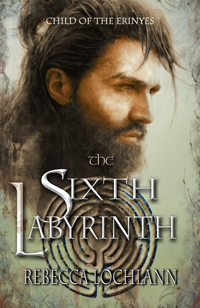 Then comes the middle part of the series with its own trilogy, all set in Scotland: The Moon Casts a Spell, (a novella), (2014) The Sixth Labyrinth, (2016) and Falcon Blue (<<not yet available). When the Moon Whispers and Swimming in the Rainbow will bring the exciting climax. Biggest writing Influences? Patricia A. McKillip, Margaret Atwood, Anita Diamant, Peter S. Beagle, and Yevgeny Zamyatin, to name a few. Though I have no conscious memory of living in the settings I write about, (well, except one: okay, maybe two), I do believe in the ability to find a way through the labyrinth of time if one is determined, and I’ve learned that if we keep our eyes and ears open, ancient deities will speak in dreams and visions, gently prompting us to tell their forgotten stories. Who knows? It could make a difference. 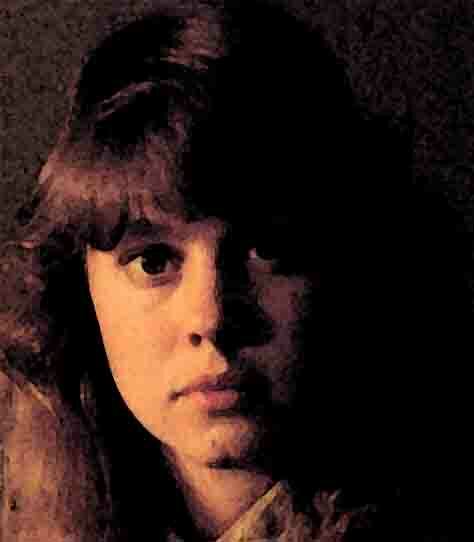 Book Trailer for The Year-god’s Daughter (1:49) at YouTube: click here. I have a Facebook page, and would be happy to welcome you there. Click here. By signing up for my email newsletter, you’ll receive announcements of new releases and/or special offerings for subscribers. Your inbox will never be cluttered up with needless chatter, nor will your email address ever be shared. It’s easy: just enter your email address, approve it, and, to be safe, add me (and Erinyes Press) to your approved addresses so the emails don’t disappear into a junk folder. Here’s the link. The main purpose of this website is to share some of the interesting source material that appears in these stories, and specifically a few of the historical nuggets of gold unearthed during my research journey. Hopefully, it will provide answers to possible questions that might arise. 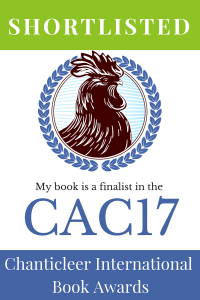 The Child of the Erinyes series so far: The Year-god’s Daughter, Book One. 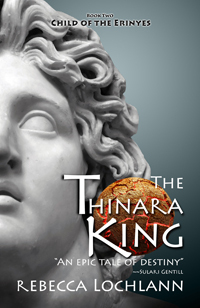 The Thinara King, Book Two. 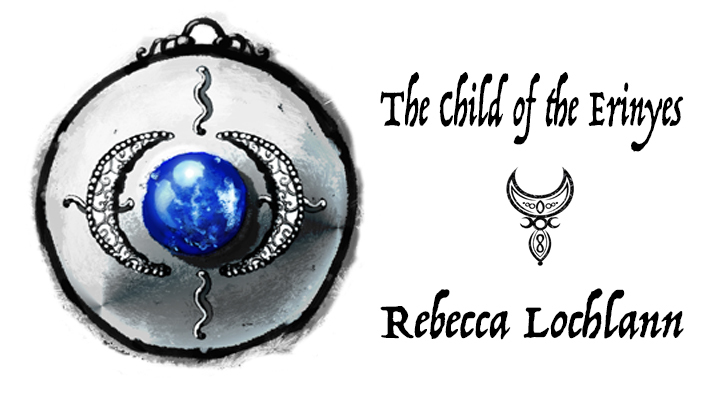 In the Moon of Asterion, Book Three. 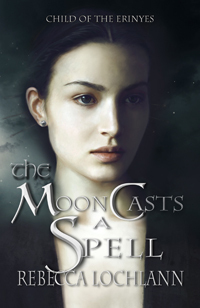 The Moon Casts a Spell, Book Four (a companion novella), and The Sixth Labyrinth, Book Five. 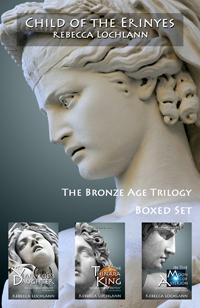 I recommend the Boxed Set: (The Child of the Erinyes Collection). This way, one can conveniently read all three Bronze Age books together. Click on the page “Links to Purchase” for ordering info. Thanks for the follow by the way! The energym to do that fifteen years of research while writing those articles and doing child rearing, running an editing business…well, it’s paid off in those great books. Hey, Rebecca. Do you have a subscribe by email to your site somewhere. I don’t think I have subscribed ’cause I don’t get your new posts in my inbox and I can’t find it. That could be it but I’ll just go and see for sure. Have a great Christmas. Happy New Year to you Dale and everyone! And a fantastic New Year to you too. Halfway through Book One, I bought the trilogy and then read it all in two days. Kept me up all night. What a wonderful job you did not only on the story but the writing is lyrical and beautiful. I’m in the process of a book on pre-dynastic Egypt and have studied anthropology and mythology extensively. I was truly amazed by the obvious amount of research and the historical accuracy (when available) of this work. Thank you for this and congratulations. So happy to hear this and thank you for letting me know, Kristina. It’s wonderful to hear that my stories are entertaining people. 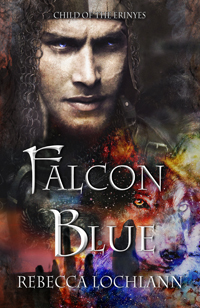 🙂 I’m deeply immersed in Falcon Blue now and will get it out ASAP!